Burberry is the iconic brand, which has a great amount of fans among fashion lovers around the world. Perhaps, such popularity is because Burberry always goes beyond the time. The traditional print has become the main point of the brand for many years. Not only grown-ups want to look stylish and trendy. Kids are eager to create fashionable outfits, too. Do you want to know the main tendencies in Burberry’s collection for children or to catch inspiration from the looks? You have come to the right place. Always Burberry’s collections for kids take their inspiration from the adult runways. This year, the Prorsum has found its reflection in the stylish kids outfits. Christopher Bailey, A fashion designer and Burberry chief creative and executive officer, has created several themes in the collections this year. The main story is focused on adventure and freedom. Women’s collection “The Birds and the Bees” and men’s “Exploration” and “Adventure” have been the base of colorful kid’s outfits for spring and summer 2015. Bright shades, wonderful fabrics and easy-to-wear cuts and shapes make the kids’ collection perfect for little fashionistas. Do you like playing games? And what about playing with your shadow? 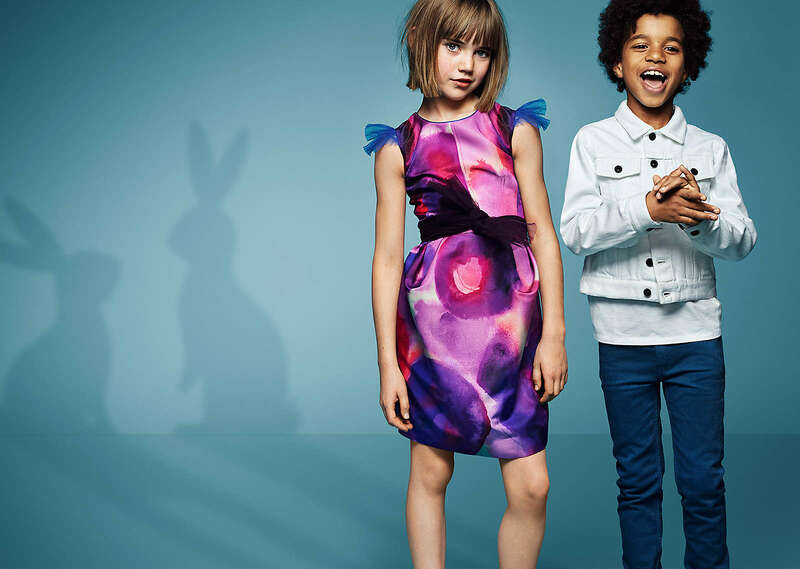 Burberry spring campaign for kids is all about amazing and magical games of children with the shadows of birds, trees and bunnies. It’s the main theme of the collection – children like adventures, they guess riddles, play and discover unexplored things. Burberry offers incredible childwear for the warmer season. The outfits are very bright and comfortable, they are just for little adventurers. All kids will be happy to wear runway miniatures and colorful rainwear. As I’ve already said, urban style of the collection is focused on Britishness, adventures and beauty. It is a real splash of colours. Denim jackets of bright shades, being layered upon beautiful light dresses, look playful and delicate. I think that graceful and energetic girls will love this combination very much. Indigo denim is among the most popular shades and the boys can choose it to look stylish and cool. Comfortable dresses, t-shirts, pants and shorts of the collection are also very bright and ready-for-having-fun. To finish the look Burberry has prepared an incredible collection of colorful sneakers, which can adorn any look. Wearing the garments from the new spring collection, kids can look like grown-ups, and, at the same time they can play and discover the world in the comfortable and unique outfits.